I don’t think it’s hyperbole to say that The Man of Steel #1, Brian Michael Bendis’ first full turn on Superman, is one of the most anticipated comics of the last decade — maybe even the most. Bendis has been Mr. Marvel for so long that his writing any mainstream DC title would be a Really Big Deal. But Superman? That’s the big American myth, right? Bendis’ arrival has engendered comparisons to both Jack Kirby’s and John Byrne’s ballyhooed defections from Marvel in the ’70s and ’80s, respectively. DC hasn’t been shy about making the point, either, with its Kirbyesque “Bendis is Coming” house ads and, of course, this six-issue, weekly Man of Steel series that may not be a reboot but is something of a reset. Once you clear the decks of hype and anticipation, however, what’s left? The work. And The Man of Steel #1 is a fine, if deliberate, start to the Bendis Era of Superman. The opening, which starts with a long shot of the planet Krypton, is a cheeky inversion of Jor-El’s famed, “This is no fantasy” soliloquy at the start of Superman: The Movie. 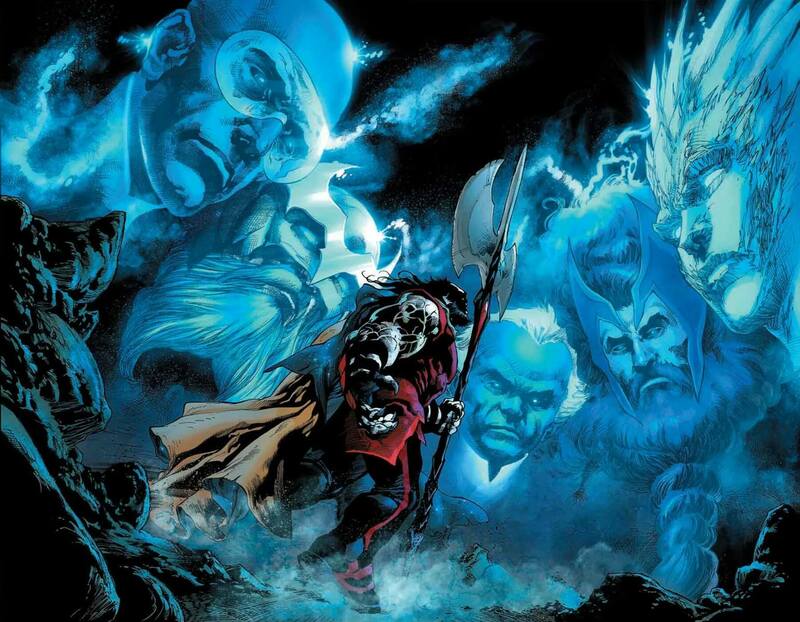 Only it’s not Superman’s father doing the speaking — it’s the beastly Rogol Zaar, beseeching a council of interplanetary elders (including a Guardian of Oa) whose images loom ethereally about him. And he’s not dispatching a trio of villains to the Phantom Zone or begging for Krypton’s salvation, either. Rather, he wants Krypton destroyed. Seems that Superman’s home planet has an unquenchable thirst for resources that can only be replenished by exploiting lesser worlds — a not-so-subtle, metaphorical jab at the United States’ relationship with any number of nations. 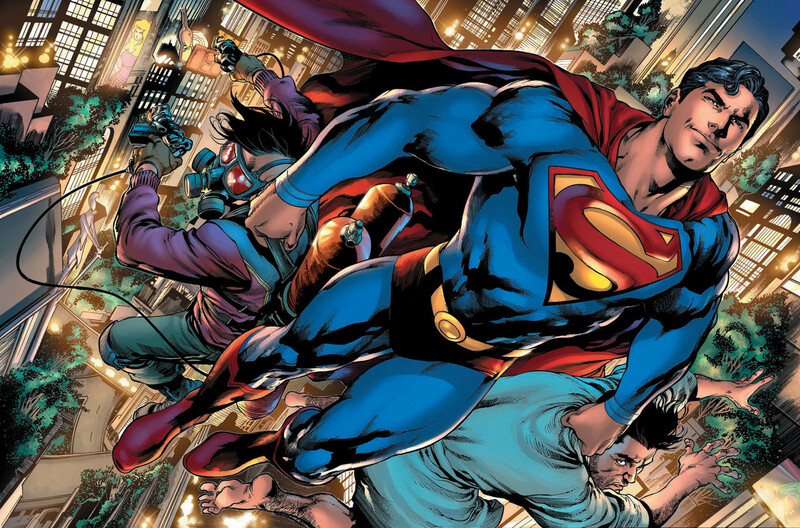 The action shifts to modern-day Metropolis, where the titular Man of Steel apprehends two Batman villains out of their element and battles a high-rise fire. We’re introduced to a new deputy fire chief named Melody Moore — and we’re reminded that, as we saw in DC Nation #0, Lois Lane is MIA and we still don’t know why. There’s more Rogol Zaar; a scene at The Daily Planet where we get a quick glimpse of Jimmy Olsen, who’s been largely sidelined the last couple years; and another flashback — but this one to the Kents’ apartment, where it looks like Jon is getting ready for a new costume. The issue ends on a cliffhanger, naturally, but is otherwise a thorough set-up. It lacks the bombastic action of Bendis’ debut in Action Comics #1000, though the final page promises big doings ahead. 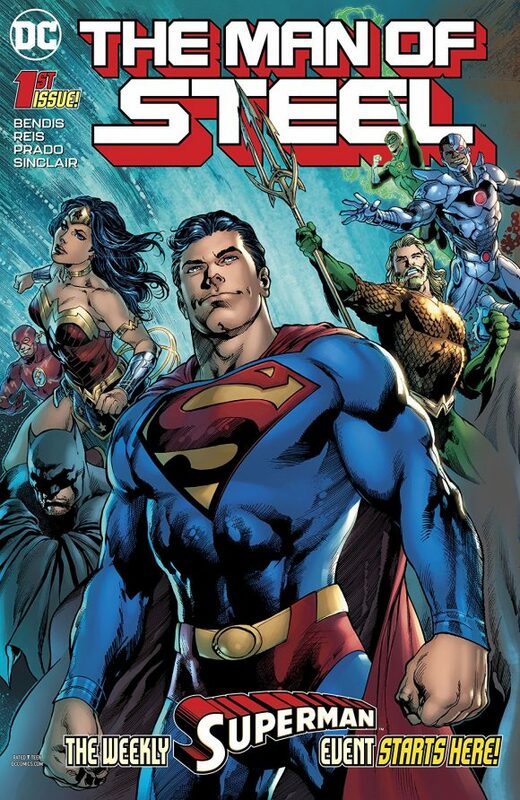 And it’s all attractively rendered by the art team of Ivan Reis, Joe Prado and Alex Sinclair (with an assist from Jason Fabok), who will give way next week to Doc Shaner and Steve Rude. The Man of Steel #1 is not an issue that will change how you think about Superman or one that alters his place in the DC Universe. Unlike the original Man of Steel series, it’s not a remake of the Superman origin — though clearly change is afoot, given Rogol Zaar’s boast at the end of Action #1000 that he’s responsible for Krypton’s demise. Rather, this is a fairly straightforward Superman comic that follows nicely what Dan Jurgens, Peter Tomasi and Patrick Gleason have been producing the last two years. 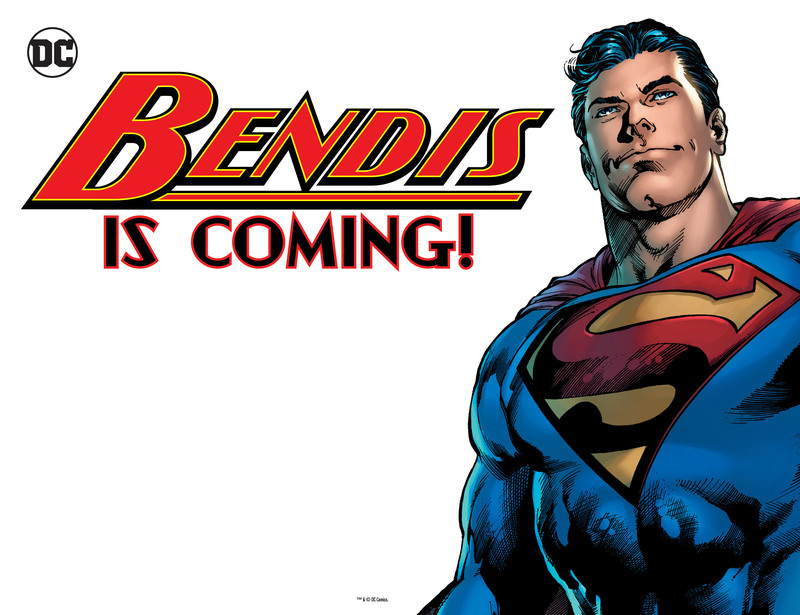 So instead of grabbing the mic and shouting “I’m here now!”, as some might, Bendis is taking his time planting the seeds and paying respect to what’s come before — while also signalling he has a big story to tell.